Always do your research when making a purchase for equipment. If buying from a business, check out their online reviews to see what other buyers have to say about their dealings. Do whatever it takes until you feel confident that the business or person at the other end of the exchange is trustworthy and worth your time. 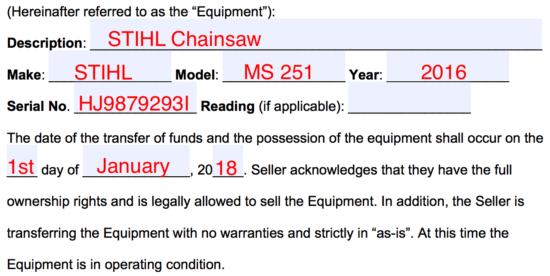 Before agreeing to purchase, ask the seller for the equipment’s serial number. Then call the manufacture to see if the serial number matches a record to verify authenticity. Also, it’s a good idea to see if the item is reported stolen by searching the database of Stolen Register. 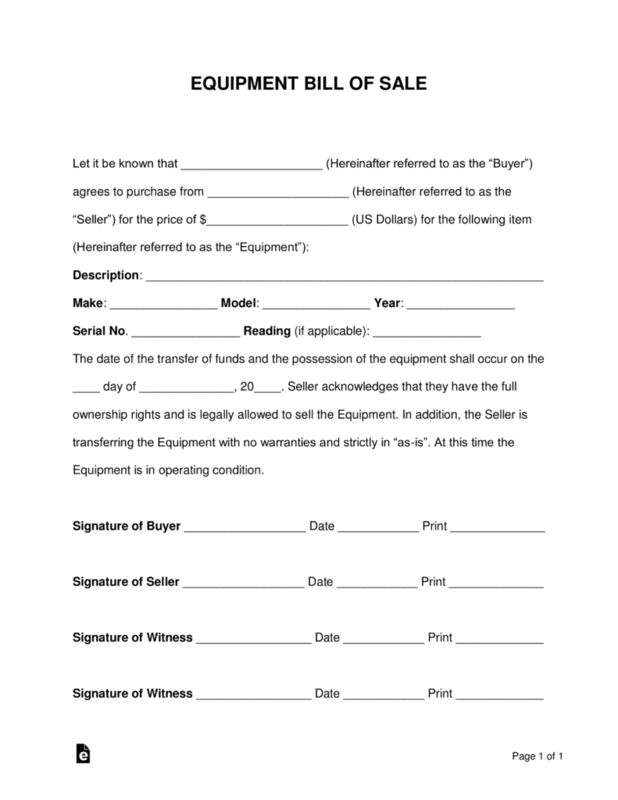 When completing the equipment bill of sale, be sure to include the serial number within. Once you have verified that the equipment is authentic, you want to make sure that you are buying from the actual owner. This can be done by asking for the original purchase receipt and/or bill of sale. If there was financing involved to buy the equipment, ask for those documents as well. It’s important to know that the equipment is fully paid off. 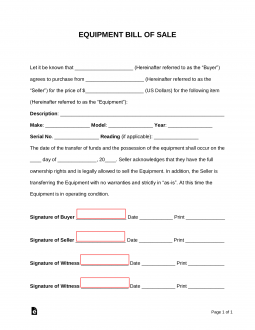 Remember, the Equipment Bill of Sale is used for as-is transactions. This means the buyer needs to be careful when handling such purchases. Here are some safety tips when buying used equipment. Buy from a reputable seller. Ensure the equipment is in full and functioning order. Bring in a professional to inspect heavier and more dangerous pieces of equipment. Verify the title is clear and the documentation is accurate.